“So, who was Prince Kuhio?”, our friend from Oregon asked. The three locals in the room looked at each other and shrugged in embarrassment. We knew he was a Hawaiian Prince but other than that all we knew about him was that he was a holiday. 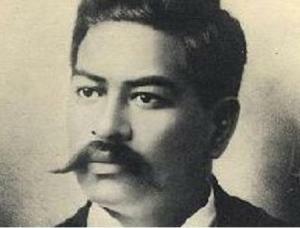 So, who was Prince Kuhio? He was a fascinating, internationally educated, charming, passionate man who spent the majority of his life serving his people who he loved deeply. Born to the sister of Queen Kapi’olani, Esther Kino`iki Ke-kaulike and David Ka-hale-pouli Pi`ikoi, on March 26, 1871, Jonah Kūhiō Kalanianaʻole Piʻikoi was adopted by his aunt, Queen Kapi’olani after the death of his parents and was declared a Prince by King Kalaukaua. 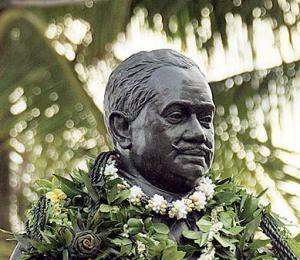 Prince Kuhio Day is celebrated on his birthday. Educated in Honolulu, California and England he also traveled extensively throughout the United States and Europe. He was known for his smile and charm and from a young age was affectionately called Prince Cupid. Groomed from an early age to be King, he found himself without a kingdom when he was only 22 years old. After an aborted attempt to restore the Kingdom through a revolution, Prince Kuhio and his wife, Elizabeth Kahanu Kalanianaʻole left Hawaii and traveled the world for a few years. 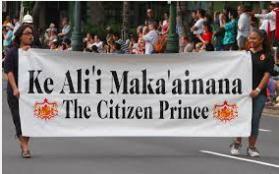 Finally reconciled to the new future of the islands of Hawaii and his people, the Prince of the People as he became known returned to his beloved islands and began to shape the future that we know today. The first Native Hawaiian and only member of Congress born as royalty, Prince Jonah Kuhio served 10 terms, almost 20 years in the Senate. Forty years before Hawaii became a state he drafted the first Hawaii Statehood Act. He moved the hearts of the entire Senate when he spoke of the plight of his people and their dwindling numbers, loss of their land and the fear of losing their culture. Among other accomplishments, he was able to push through legislation for Hawaiian Homelands, set up the current county system, reorganized the Royal Order of King Kamehameha I, was the founder of the Hawaiian Civic Club and dedicated the rest of his life to the betterment of his people. The love of the people for Prince Kuhio is shown in the many public places and schools that bear his name. While the Hawaiians did not achieve the independence he originally fought for as a kingdom, they have independence and freedom that allow them to continue to grow as a Hawaiian people, perpetuate the Hawaiian culture and continue the Hawaiian legacy that Prince Jonah Kūhiō Kalanianaʻole Piʻikoi, the Prince of the People, spent his life serving. Susan Kunz is a long time resident of Laie.